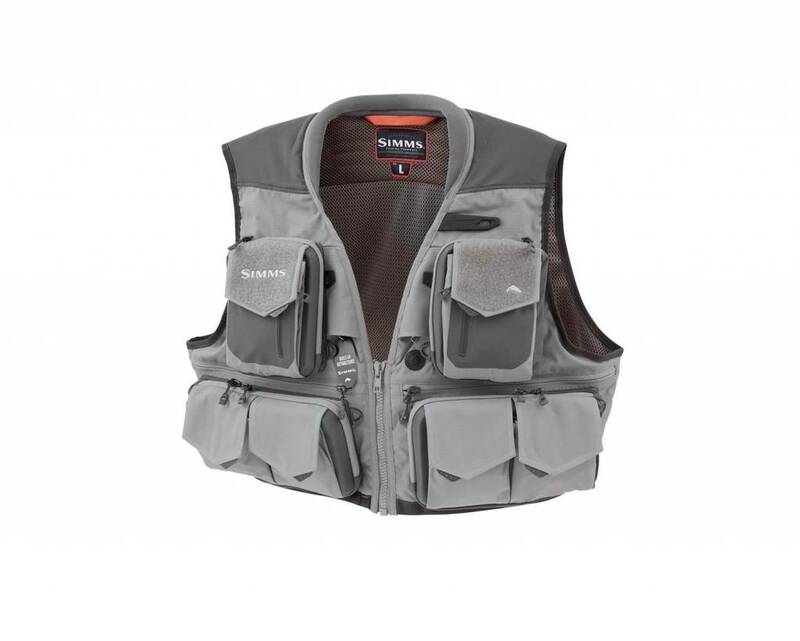 Simms G3 Guide Vest, be prepared to seize the moment and change on the go. 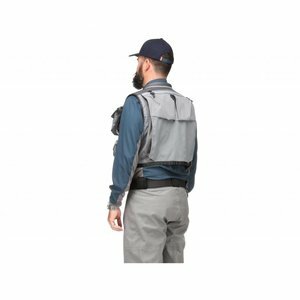 The G3 Guide Vest is a multitasking companion, with 24 pockets to fit all your tackle and personal items. 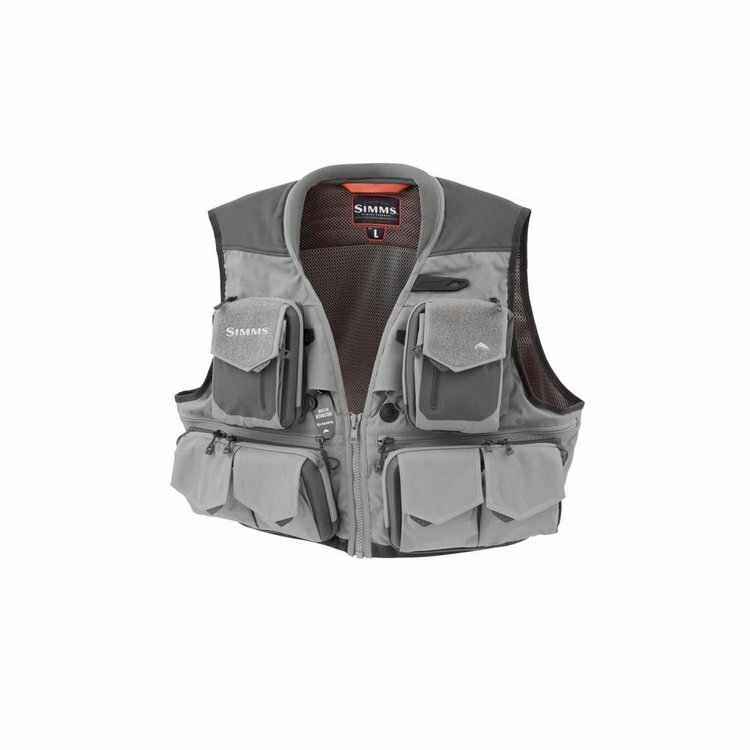 Simms G3 Guide Vest, be prepared to seize the moment and change on the go. 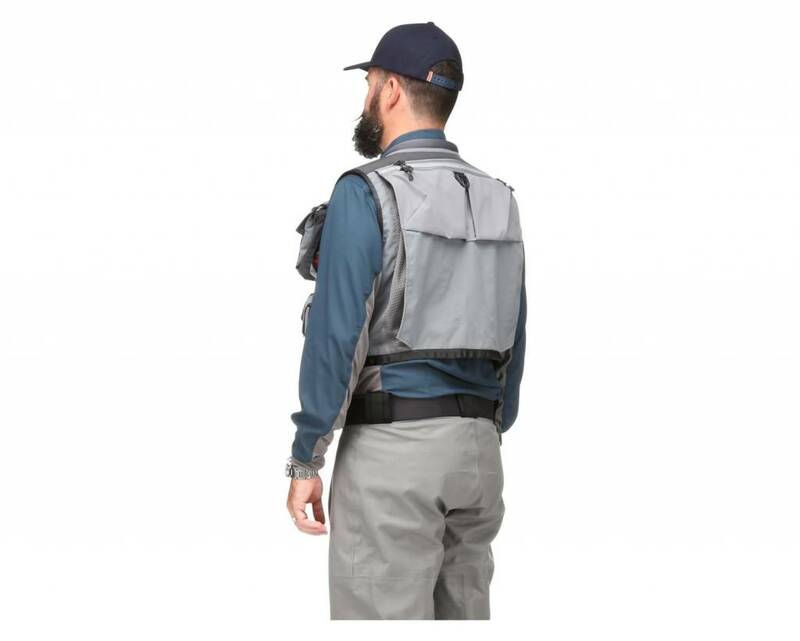 Simms' G3 Guide™ Vest is a multitasking companion, with 24 pockets to fit all your tackle and personal items. 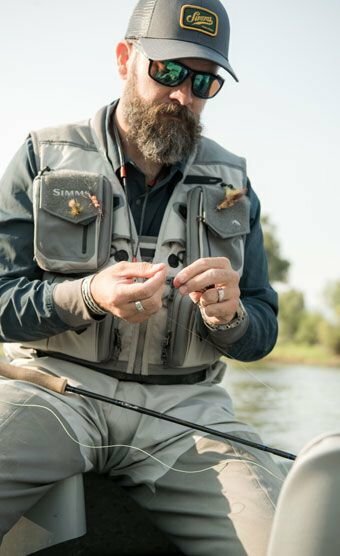 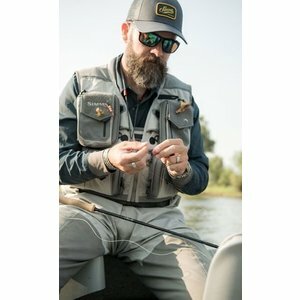 A ventilated, padded collar adds plush comfort to the stretchy mesh shoulders, so you'll be comfortable on long days snapping casts across the water. 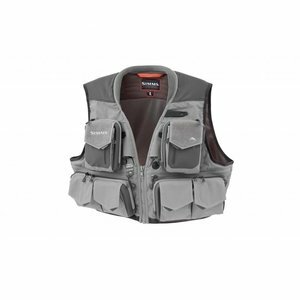 This fishing vest is built with two retractors that let you clip on pliers and other tools for easy access.